Pump stations are most commonly used as a form of flood control and prevention, along with canals and levees. They are also used to pump water to higher elevations for storage or distribution, referred to as lift stations. Pump stations are used for flood control in many low-lying areas where even a little extra rain can tax the natural drainage system and cause widespread flooding. 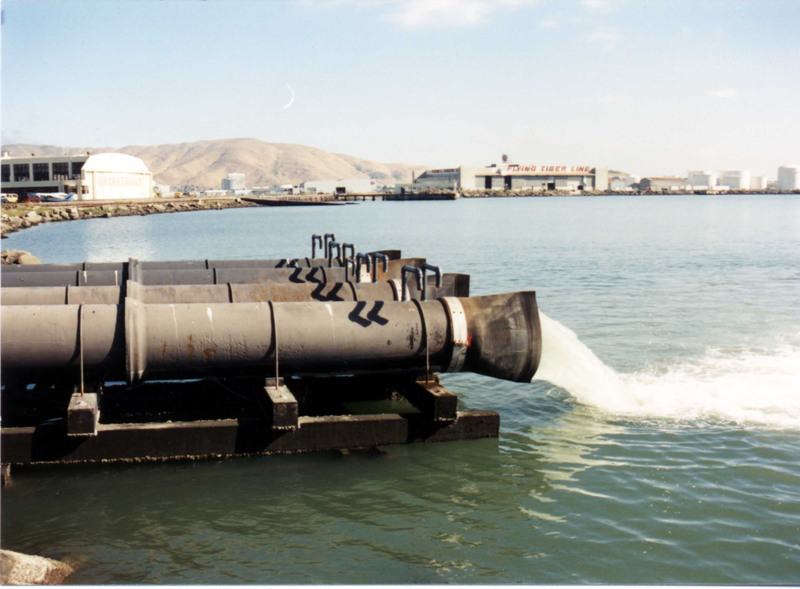 Large pump stations are used to collect extra water and quickly pump it out to sea before it can flood. Due to their proximity to the water, these pump stations are also affected by rising tidal waters which can backflow into their collection basins. A check valve is needed that can pass large amounts of water when the pumps are on and still have low enough headloss to pass small amounts of water at a gravity flow. Stormwater can also contain large debris that would render a flapper valve inoperative. Lift stations also require a reliable check valve to prevent water that has been pumped to a higher elevation to backflow in the event of a pump shutdown or failure. Since there would be an instant static head against the valves, a fast acting valve is critical. However, a valve that slams shut may cause other problems of its own. Also, to keep pumping costs as low as possible, the check valve should have very low headloss characteristics. Tideflex® Check Valves meet these needs perfectly because of their low headloss, 100% rubber construction, and patented design. Available in sizes up to 96", Tideflex® Check Valves are the best available technology for backflow prevention in pumping stations. Tideflex® Check Valves are available in many inline configurations for maximum design and retrofit flexibility. The Tideflex® Systems can be operated in an ON/OFF mode for periodic mixing as required to significantly reduce energy usage. The check valve diffusers prevent waste and debris from entering the manifold piping and provide a maintenancefree system. The Tideflex® design models produce the most efficient configuration of piping and diffusers for optimizing controlled loop mixing and fluid momentum. 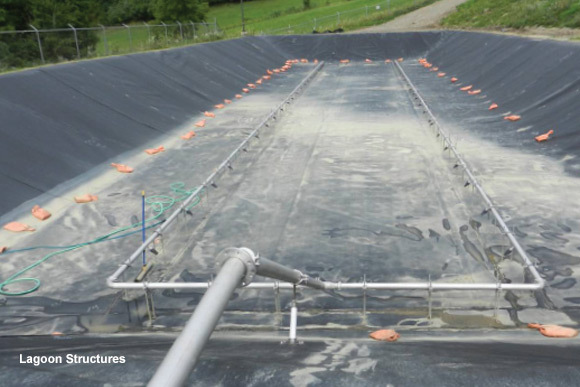 Controlled loop mixing provides better mixing of heavy solids as compared to full floor coverage configurations.